Did you know that more guests traveled on Airbnb this summer that the entire population of Greece, Sweden, or Switzerland? 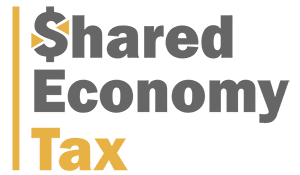 Whether you are just an average family looking to supplement your income, or you have jumped into hosting as a full-time gig, you are at the forefront of the Sharing Economy movement, and also responsible for your own taxes and tax planning. What may have been fairly simple in previous years, is now a mixture of spreadsheets and paperwork, along with uncertainty of how to plan. Below are 5 tax planning tips for Airbnb Hosts. The simplest way to account for your income and expenses is called “cash basis”. Simply put, as a cash basis taxpayer you report your income in the tax year that is actually received, not earned. In other words, when you have physical possession of the cash. For example, you received a check on December 31, 2013, you have constructively received the income in 2013, and therefore it is reported on your 2013 tax return. Had you actually received the check January 1, 2014, you could include it on the following years return. One way to delay income, if needed, is to set a high minimum payment amount from Airbnb. If you select this option, Airbnb will hold your funds until you reach a payout amount that you have set. You can set it so you get paid around January or February of the following year. The same rule applies for your expenses. Cash basis taxpayers recognize when you pay the bill and not when you incur the expense (i.e. Insurance, utilities, cleaning). If you paid with a credit card, you still get to deduct the expenses when purchased, not paid. How does this work for you? If after taking a look at your total income picture for the year, you can either delay your income or increase your expenses by year end to land in that “sweet” spot of where you would like to be income-wise. Watch your withholding. If you haven’t done so already, submit your tax information to Airbnb by completing IRS Form W-9. If Airbnb does not have this information on file for you, they are required by the IRS to withhold 28% from your payments and remit this withholding to the IRS. Unless your taxable income is at least $151,200 for a married couple ($90,750 for single), your effective tax rate is less than 28% and you have let the IRS have your hard earned money all year interest free. It is also important to keep track of your gross vs. net earnings. Most people are taken aback when they discover the amount shown on their 1099 is much greater than the amounts received from Airbnb for the year. Airbnb will withhold the 3% host fee from your payment, but report the gross bookings reported to you. Be sure to keep track of those withheld amount and deduct those additional fees on your tax return. Capture ALL of your deductions. Besides the obvious rent, utilities, insurance and repairs expenses, think about any more modest or not so apparent expenses. Any cash you spent for the comfort of your guests is considered an ‘Ordinary and Necessary’ expense. This could be furniture (such as a bed, duvet cover, window treatments, etc.) that you designate for the exclusive use of your guests. Did you stock soap, shampoo, toilet paper, detergent, etc.? Keep track of everything, even if it is replacing wine glasses. In addition, bear in mind any special purchases you made: these could be travel guides, local guidebooks and maps, water bottles, a guestbook, toiletries, even a travel adapter can all be deductible expenses for your business. Nothing is insignificant. It is recommend to hire a tax professional as early as you can who knows how to handle taxes for Airbnb hosts. Preparing your own taxes is time consuming and confusing. Tax laws are constantly changing and the comfort in knowing your tax professional keeps up with these changes leaves you with more time to concentrate on your business and your family. In closing, if you keep track of all of your expenses and financial information on a regular basis, you will find it much easier to remember the details of your expenses. Don’t fall behind on your bookkeeping, or worse, put off all of your accounting until April 15th! Remember, if you ever have any questions, we are here to help.